Owner/operators and fleet managers alike cannot get enough of the Cascadia Evolution because of its efficiency and reliability. However, we don’t expect you to take our word for it! Several of our valued customers provided Freightliner semi-truck reviews to share their experiences with the Cascadia Evolution. 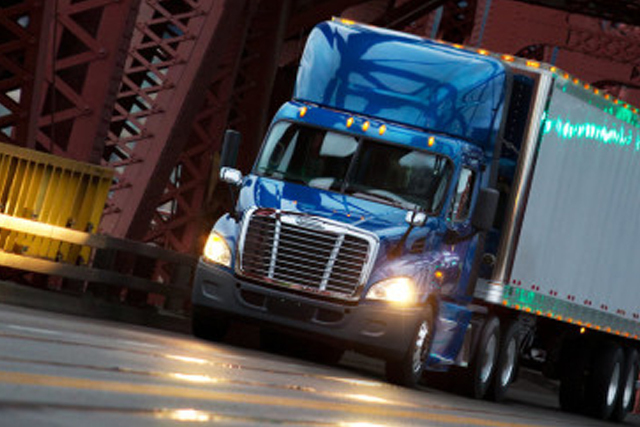 See what our customers have to say about the driving experience, fuel economy, engine and cab of the Cascadia Evolution. -Jeff Hall, Owner of J&R Hall Transport Inc.
Freightliner customers are seeing the benefits of our engineering technologies everyday through driver feedback and their bottom line, which is reflected in these testimonials. When we receive new semi-truck reviews we are eager to share the feedback with others so that we can help even more owner/operators and fleet managers achieve their business goals. After reading our semi-truck reviews, contact your local Freightliner dealer to discuss which truck will make the biggest impact on your business.